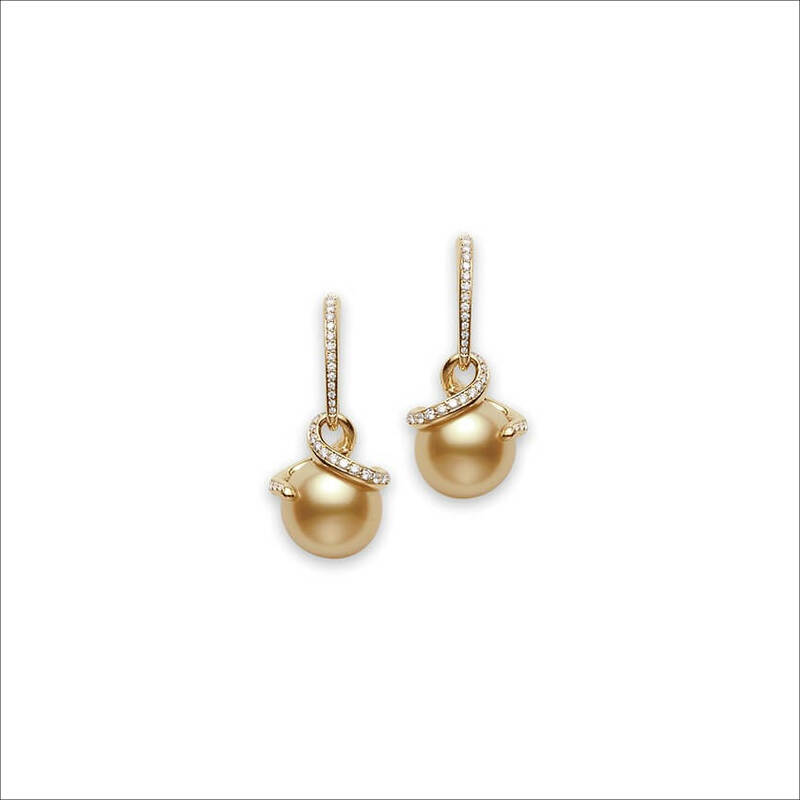 Gold is the most coveted metal which also stands as a symbol of power and elegance since historical times. 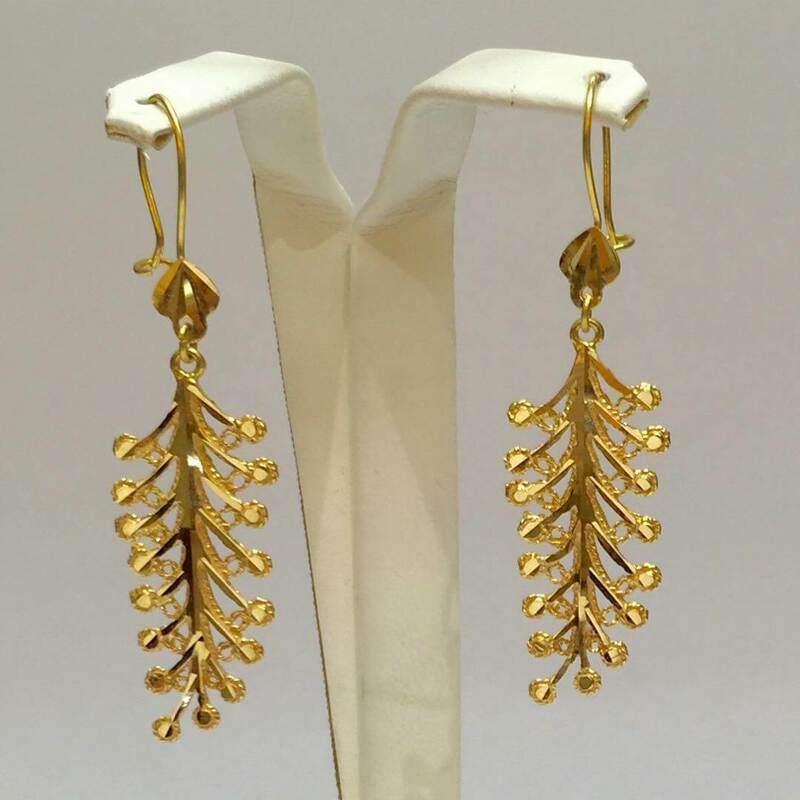 Around 1500 BC, gold earrings were worn by Egyptian women. 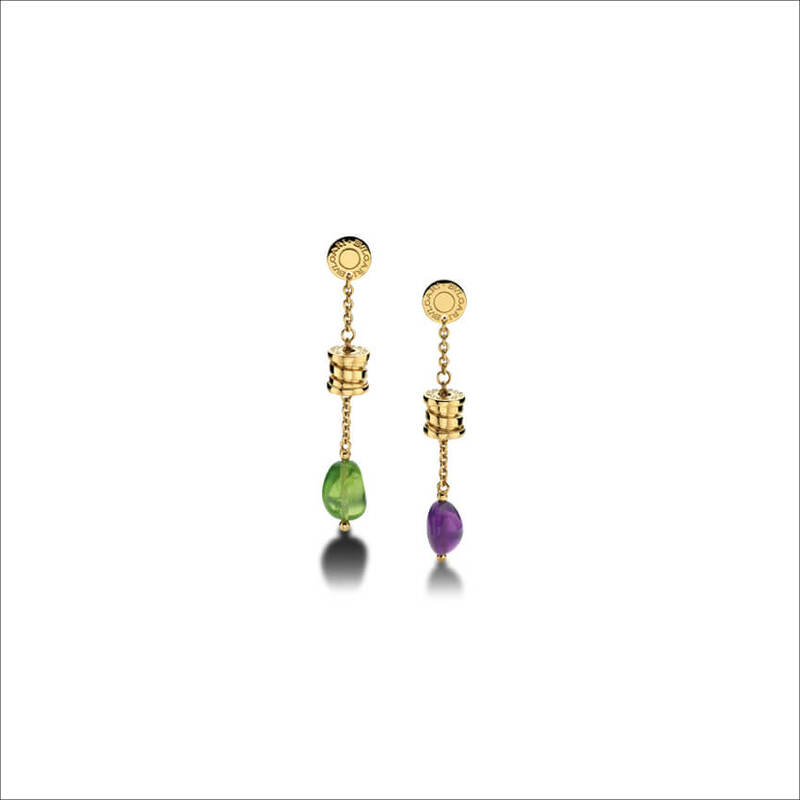 Ancient Roman women wore gold earrings adorned with gemstones. 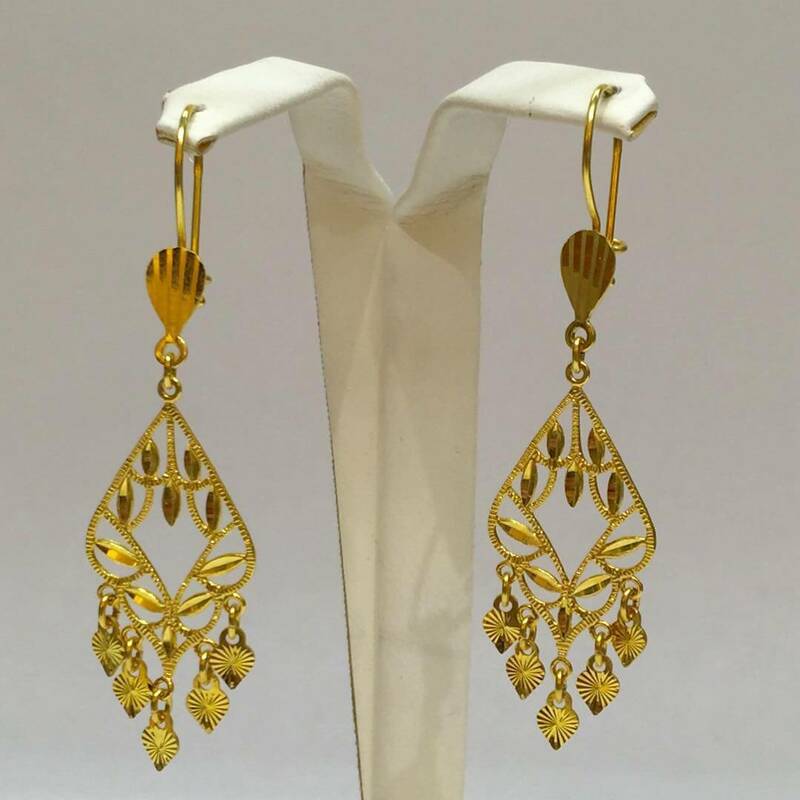 Gold earrings are in fashion even unto this day. 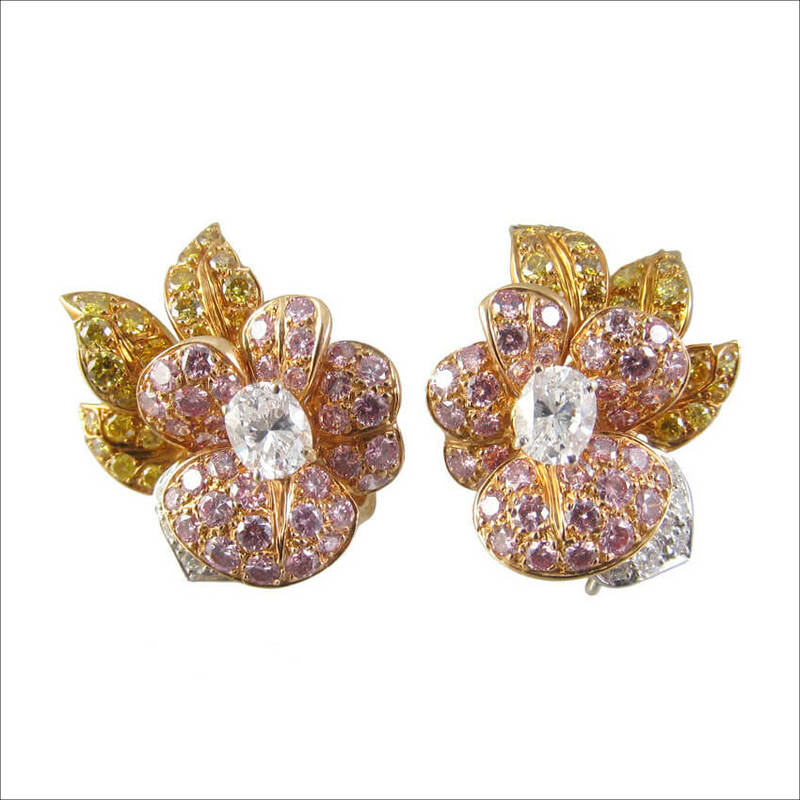 In fact, these have never gone outdated in any era. 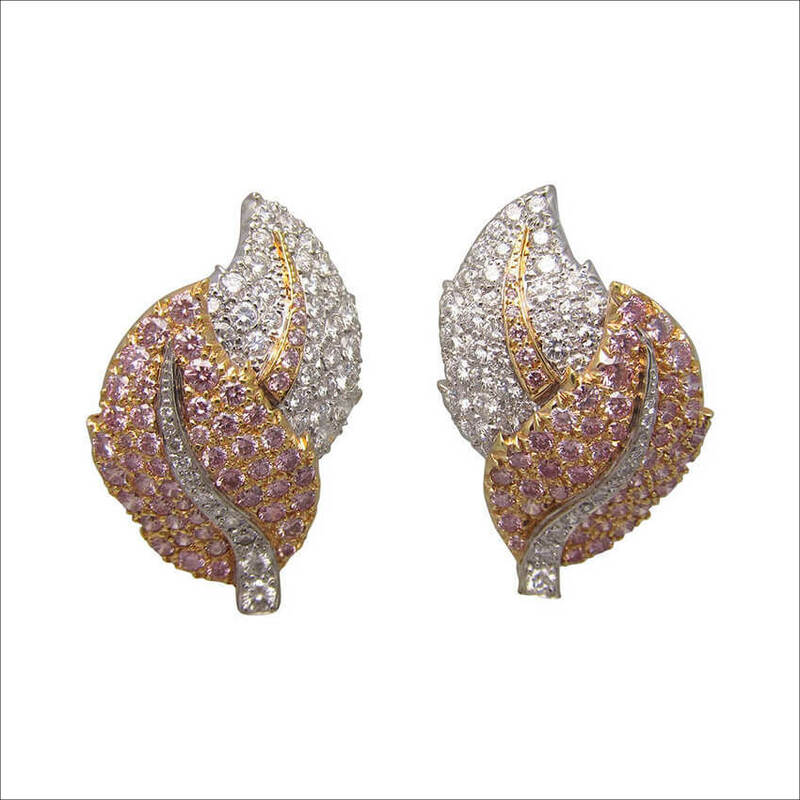 Owing to the inherent properties of this metal, exciting and extremely intricate designs of earrings are crafted with it today. 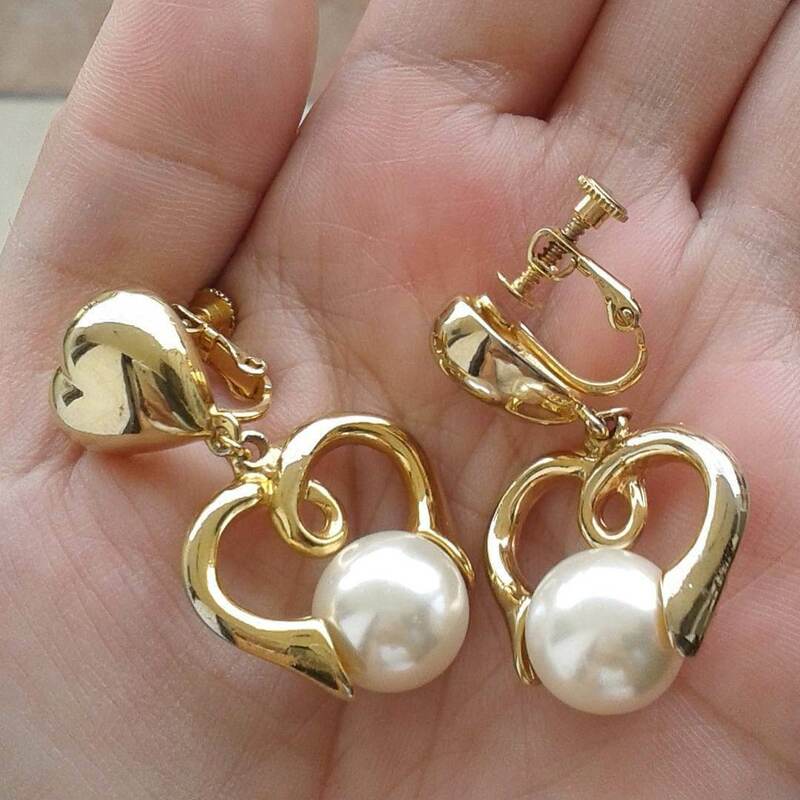 Numerous types of gold earrings have flooded the jewelry stores. 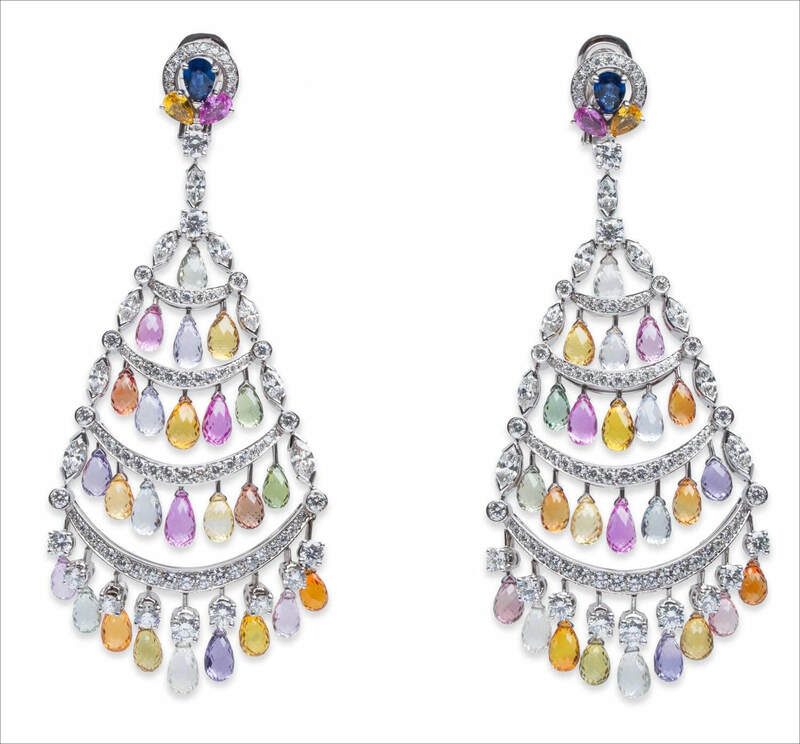 The studs, the hoops, the dangling drops, the fancy pendants, the clips, the clamps, the chandeliers, the stone studded ones, etc are the basic types. 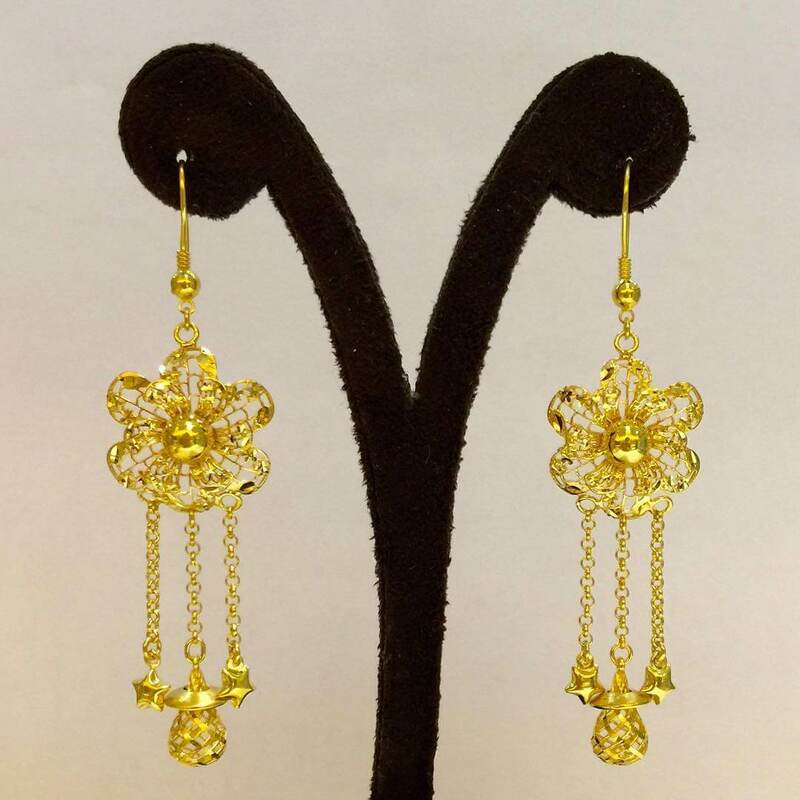 You can also get custom-made leaf designs, floral patterns, religious symbols, animated designs, etc. 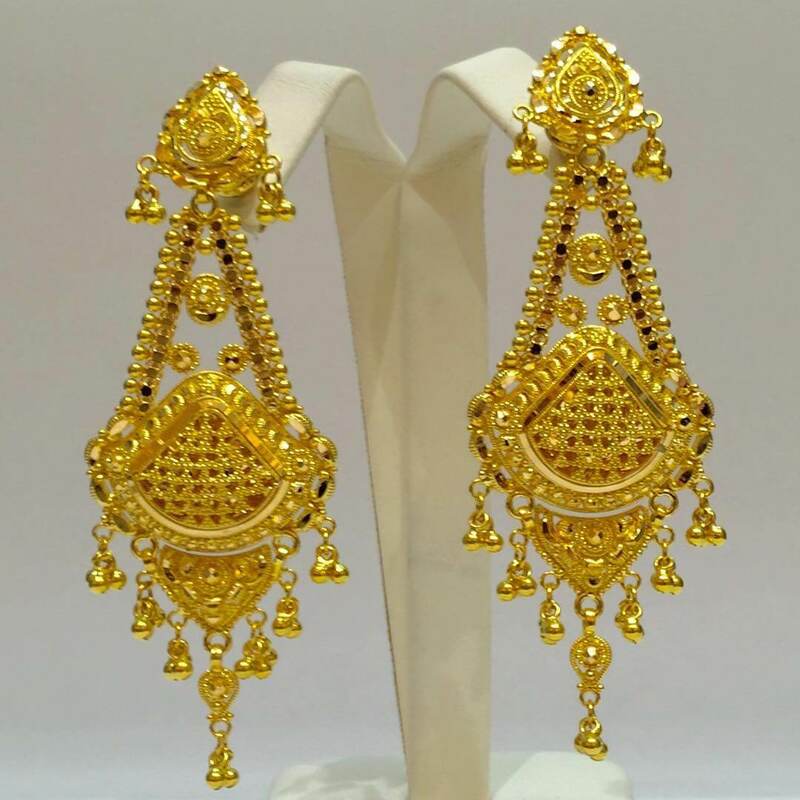 Gold earrings come in three lovely colors including white, yellow and pink. 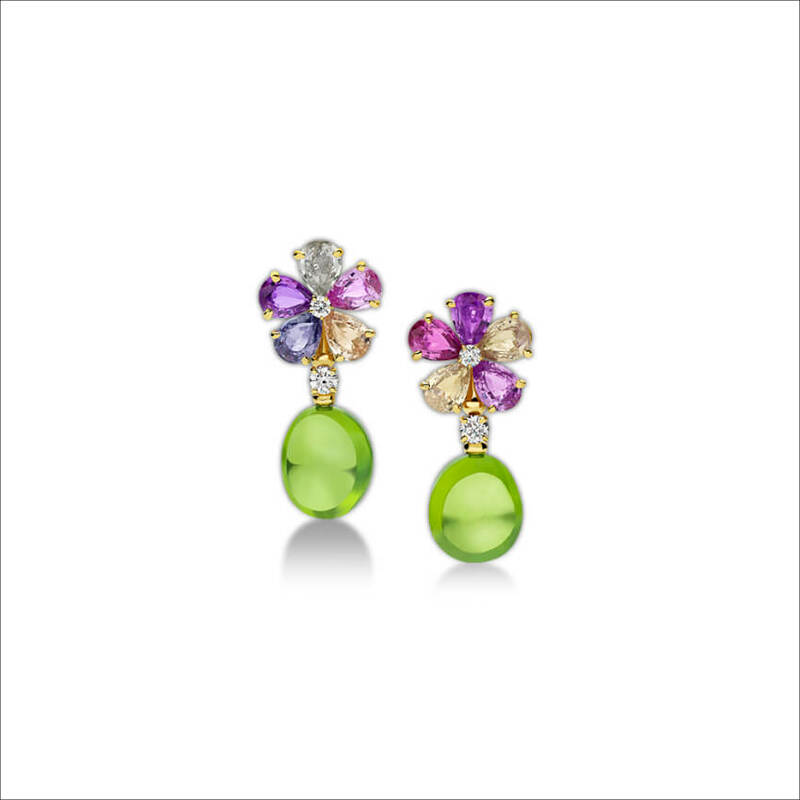 Earrings having a dazzling mixture of all these colors are also in trend these days. 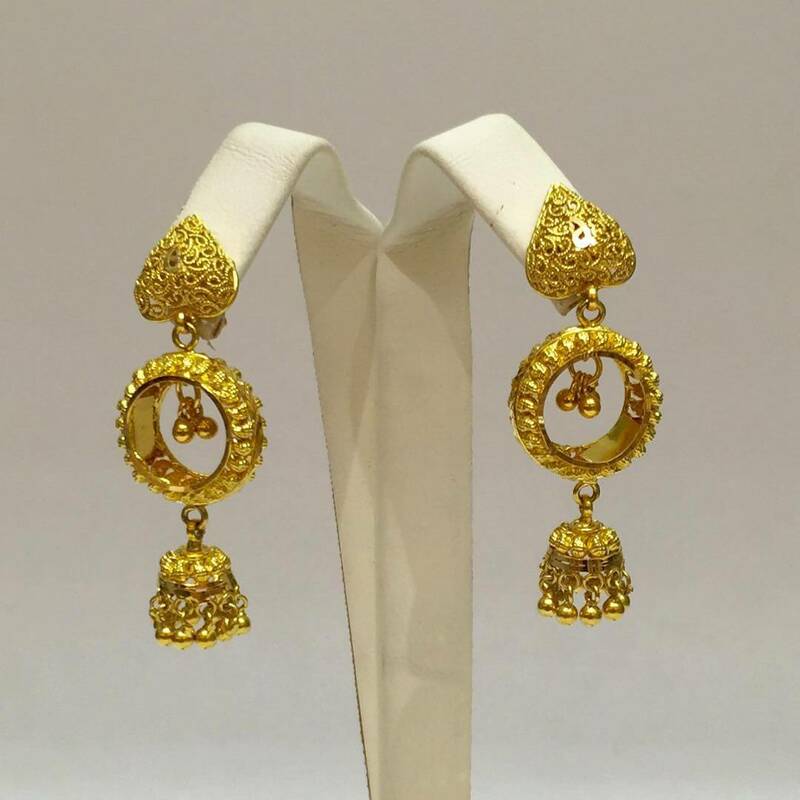 The chandelier gold earrings studded with precious stones beautifully go for all type of formal occasions. 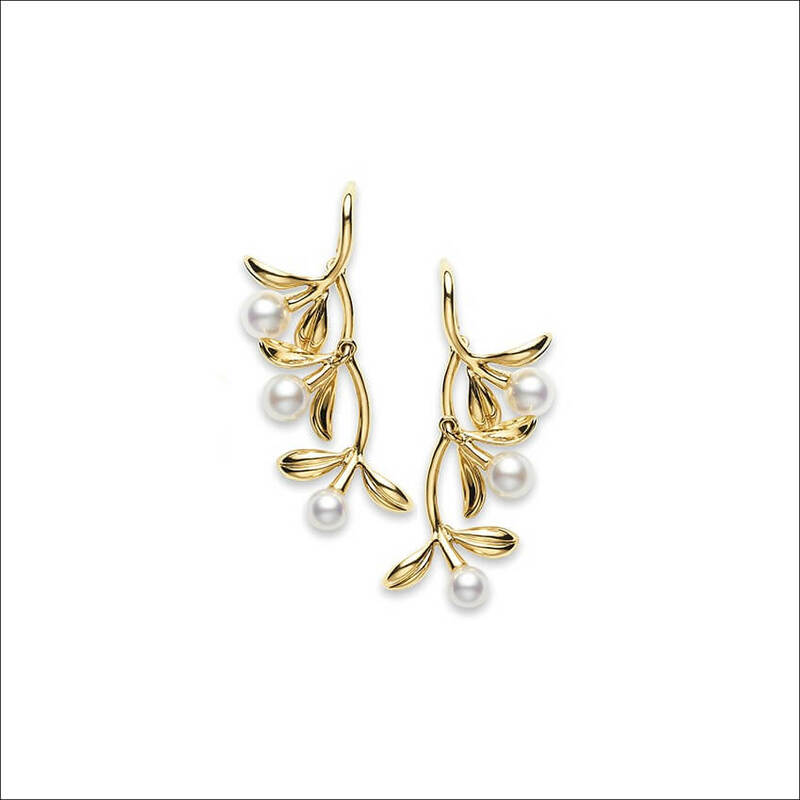 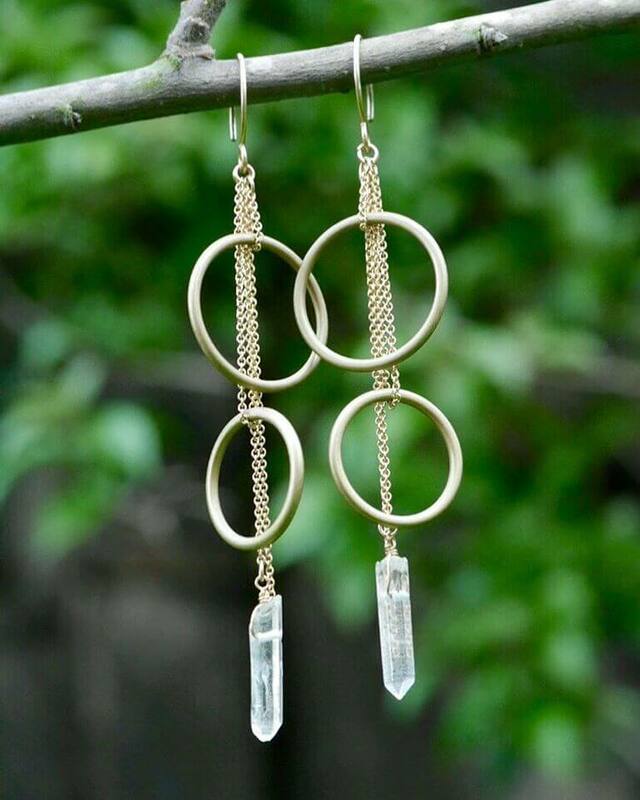 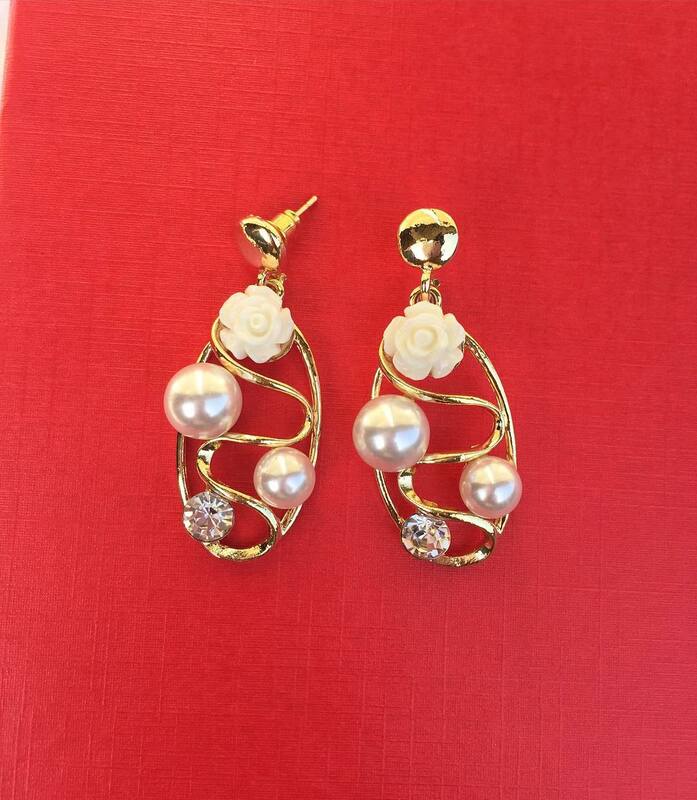 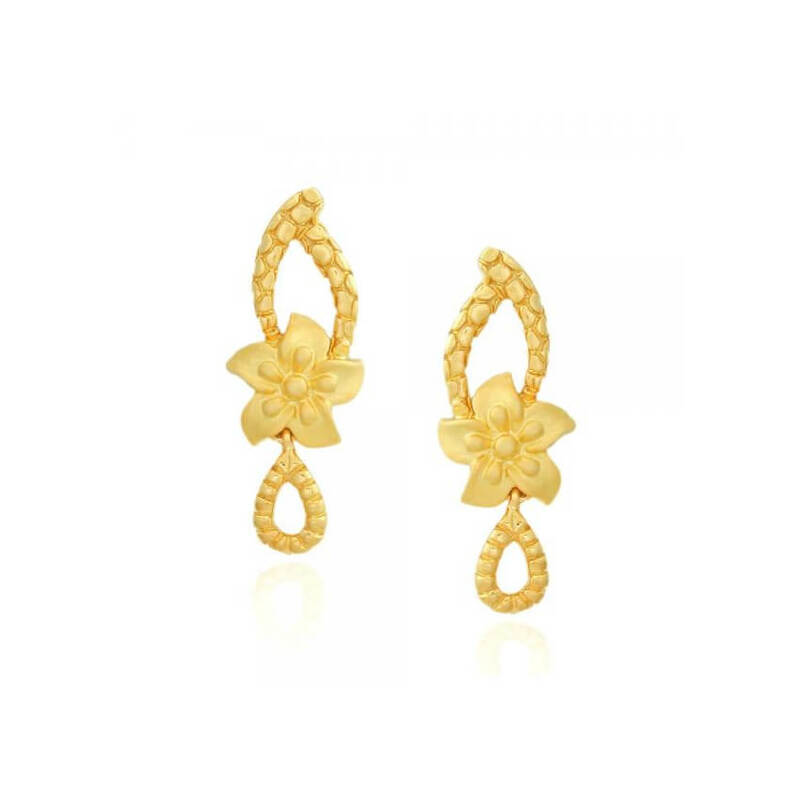 The drop gold earrings blend well with any clothing style ranging from casual to dressy. 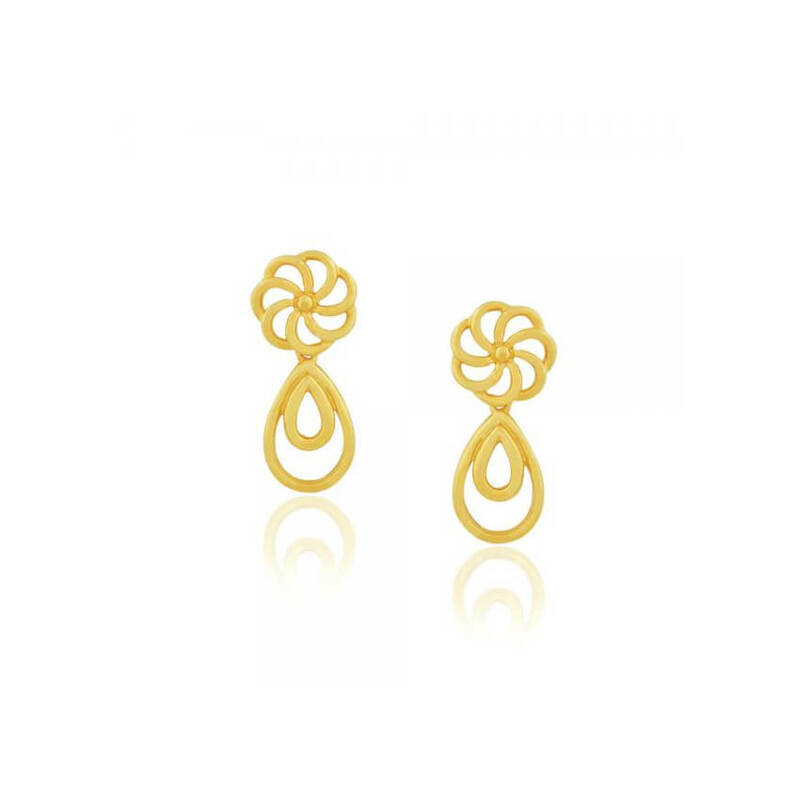 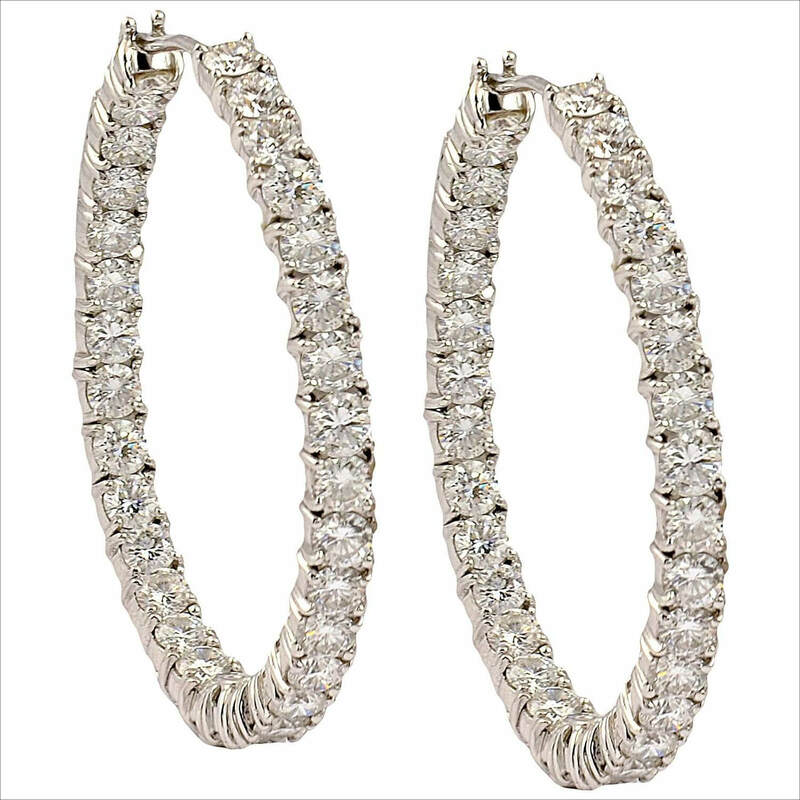 The oval, round and square hoop gold earrings perfectly complement faces of any shape. 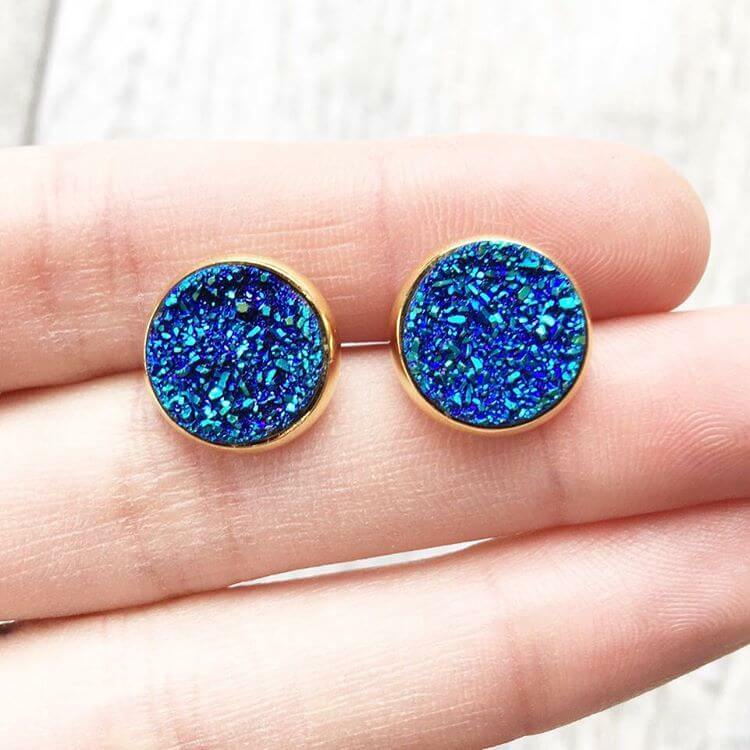 Gold studs go well with all sorts of clothes. 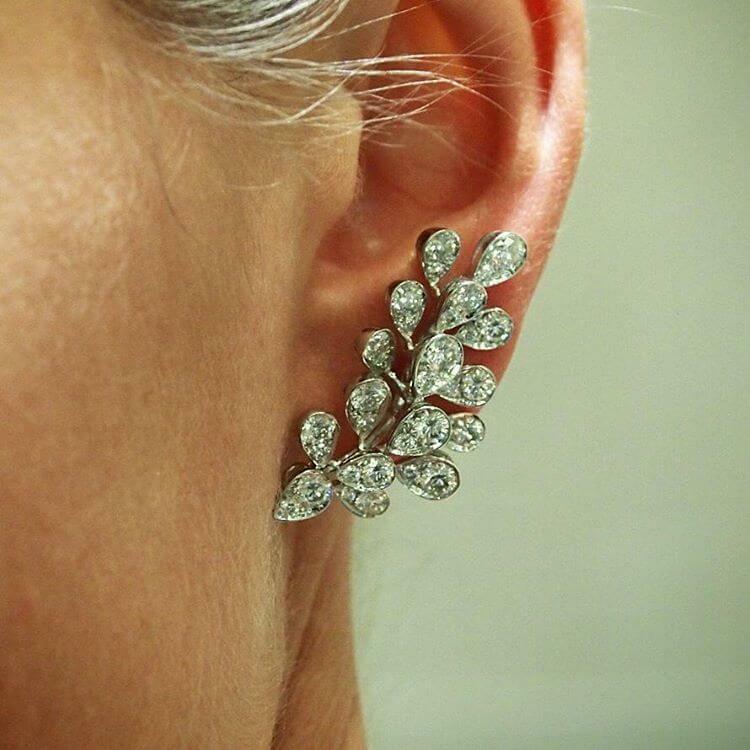 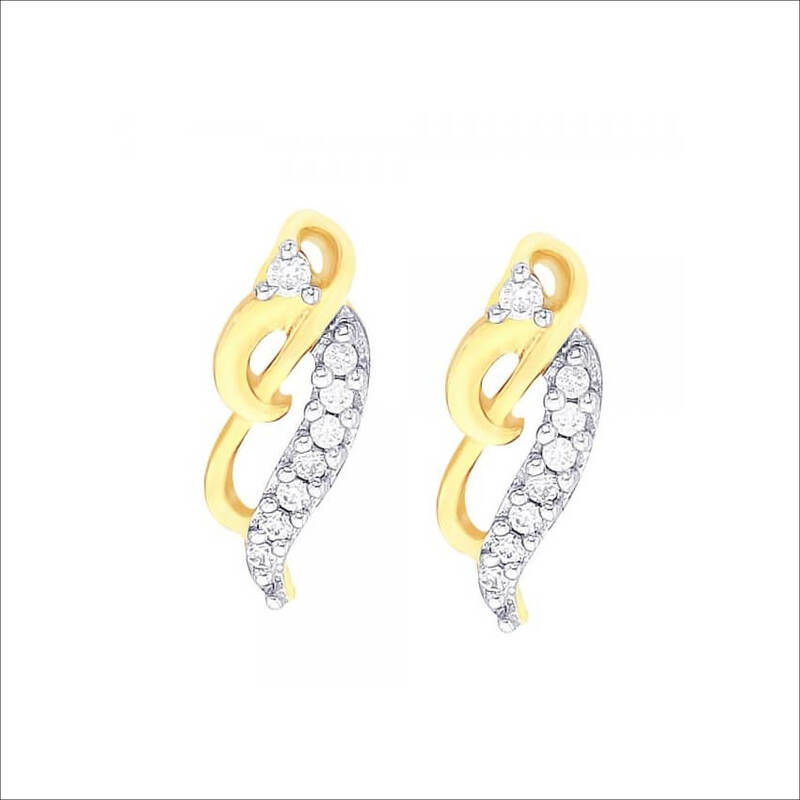 If studded with a diamond, they are the best for even formal events. 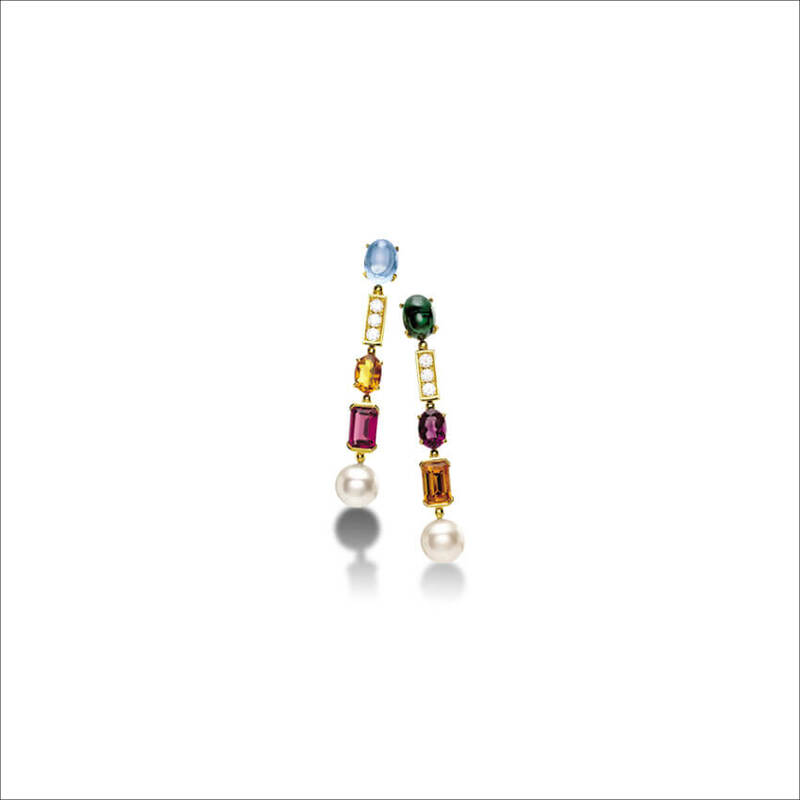 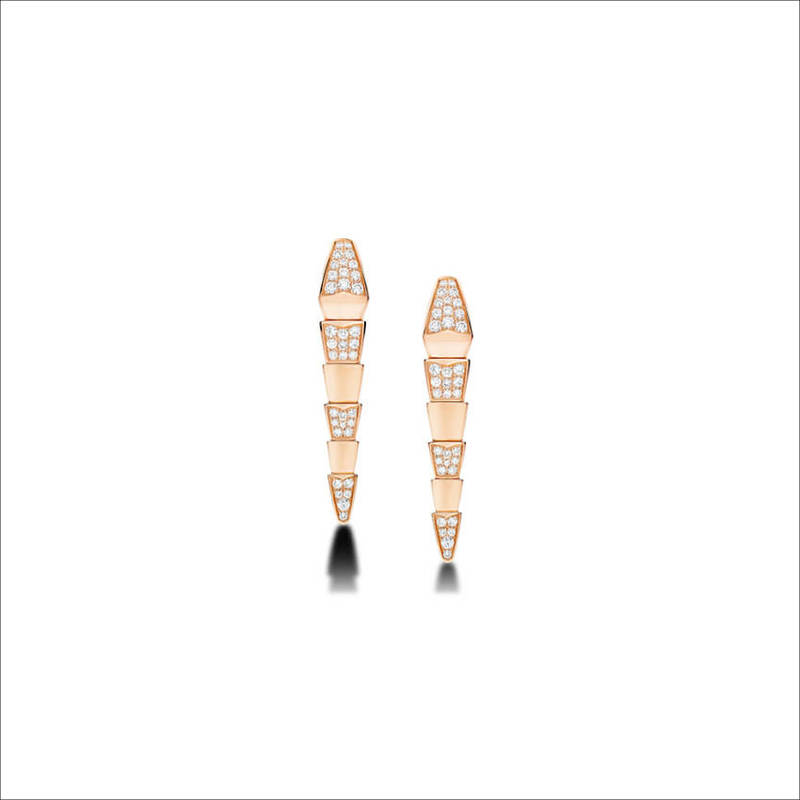 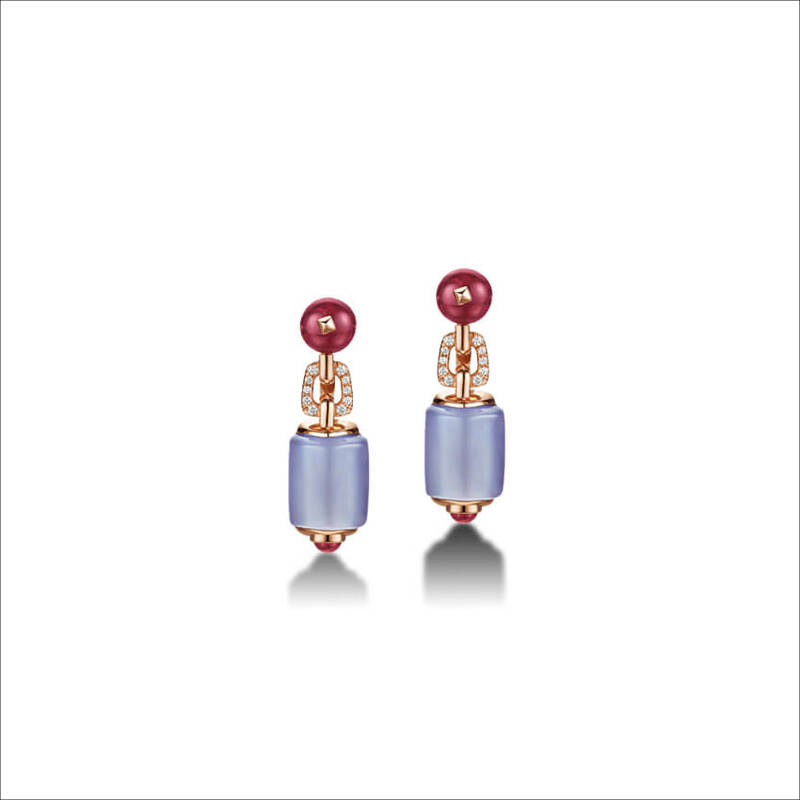 The bi and tri-color gold earrings are now in trend among the younger generation.